I am posting my very first post as requested by a follower. This is a big frickin’ deal for me. So Leah – this one’s for you! I hope that you find this useful for making a version for your wedding. 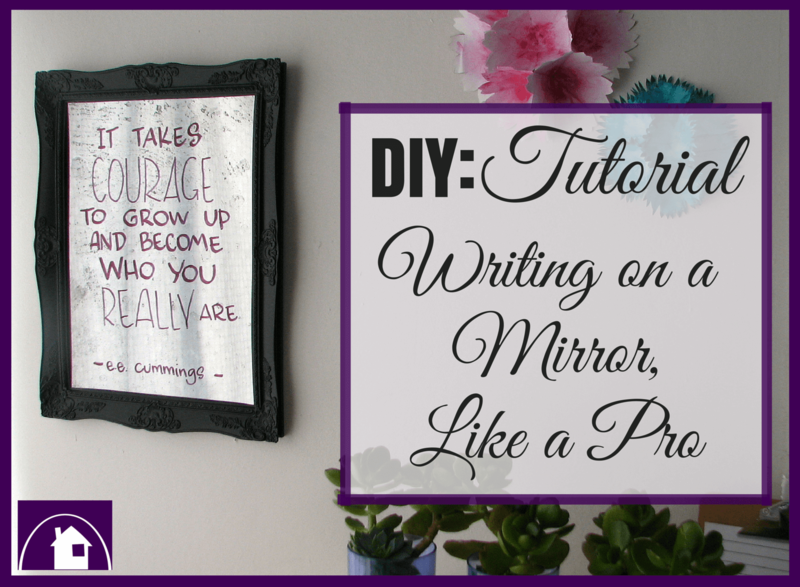 There are very few tutorials online showing clearly how to write onto a mirror. In fact, I only found two that I know from personal experience would be helpful for a first-timer. So I thought it may be helpful to post my own tutorial for anyone who would like to try this DIY for themselves. Take your time and consider starting small – a practice version, if you like. 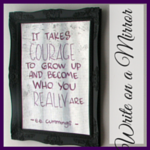 Consider the size of your mirror and the quantity of words you want to write onto it – will it all fit? 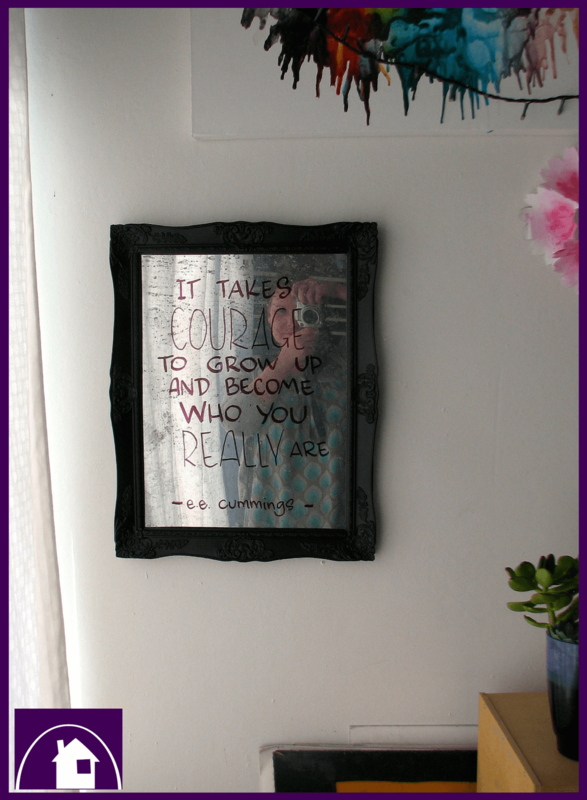 NB: I used a quote from one of my Pinterest boards. Open a Word document. Alternatively . . . . . . . . . . you could use an editing program to make the document . . . . Photoshop, Canva or PicMonkey. Rearrange, format and resize to fit the page. 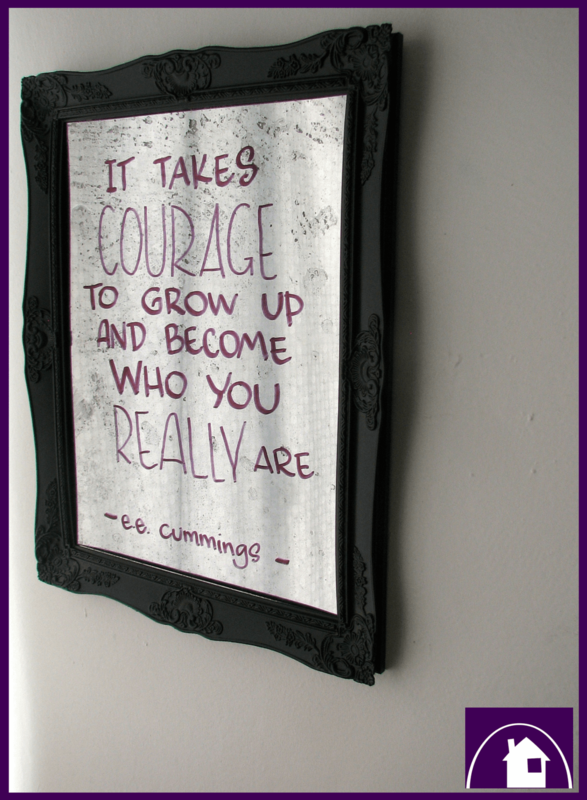 It’s important at this stage to use fonts and sizes that you want to recreate on the mirror. NB: My final version was NOT made in Word so it will look a little different. 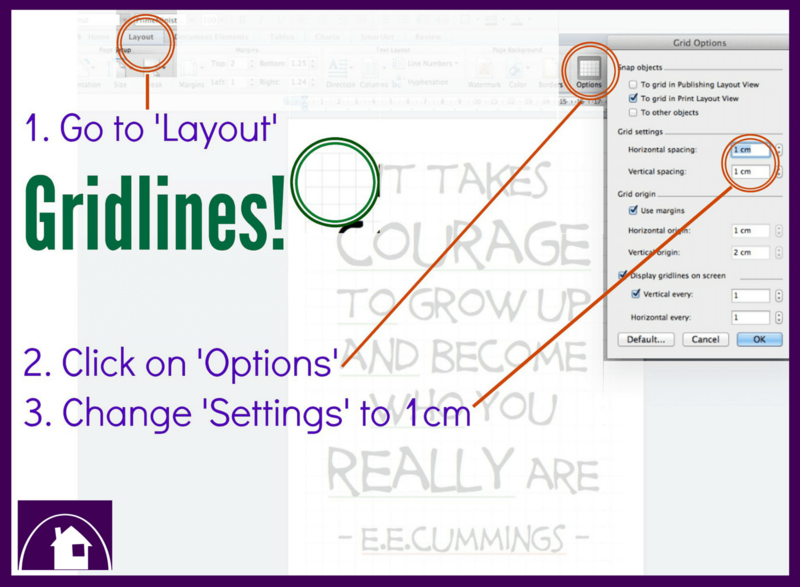 Add 1cm gridlines to the page – this is crucial for helping you transfer the writing from the screen to the mirror. See instructions below (*+*+*). I wanted to print the page for this tutorial, so I made a copy in PicMonkey and then transferred the image to the Word document. Then I added individual lines over the top of the image, using the Grid as a guideline. 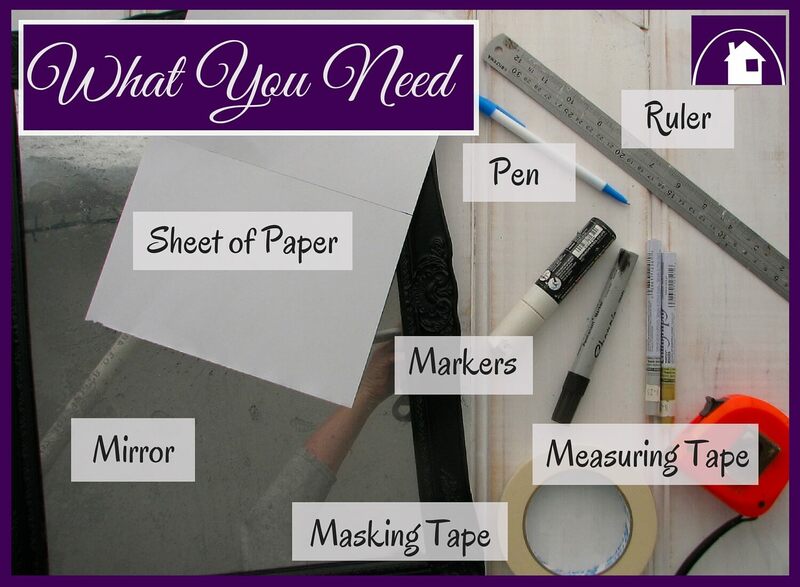 Using paper or tape (masking or washi) Create a grid on both sides and along the top of the mirror. Make sure to use the same dimensions as you have on the printed document (cm or inches). Grab a piece of paper the same width as the mirror, find the halfway point and make a mark on the piece of paper. Now it’s time to finally get Creative! Use the central line on the screen/printed page, to line up your starting point with the blank sheet you have waiting on the mirror. On your printed sheet/screen – count the number of spaces in FRONT of the central mark. Now . 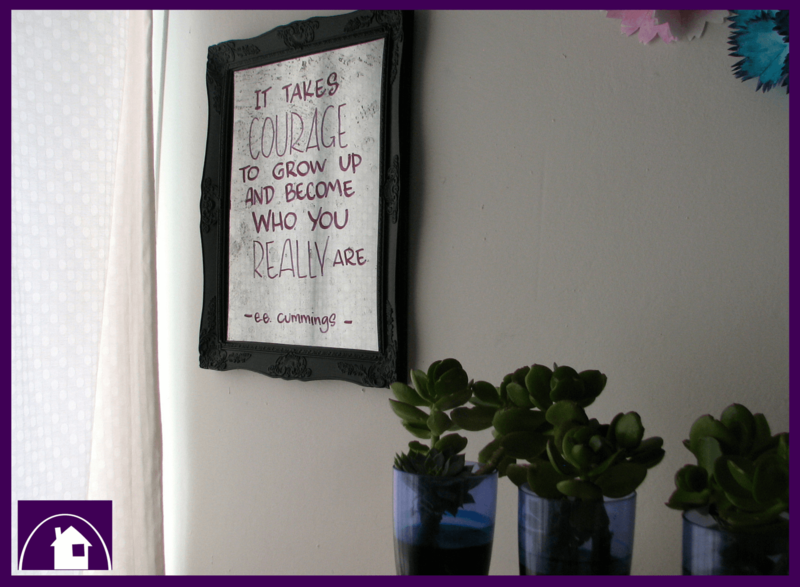 . . on your MIRROR – count the number of spaces in FRONT of the central mark – this is your starting point. *** Be prepared to accept mistakes – eucalyptus oil or nail polish remover or rubbing/medical alcohol will remove any booboos – but I believe that imperfections make it a true DIY triumph. I used uppercase only, but if you have descending letters ( g, j, y, etc) then skip the letter and write it in when you remove the blank sheet of paper (that marks the central point). Continue to use the lines on the printed sheet and the measured marks on the side of the mirror, to work your way down the mirror. *** If you are REALLY nervous about writing in a fancy font or in a traditional calligraphy format, then check out this post of mine (on my old blog) and stay tuned . 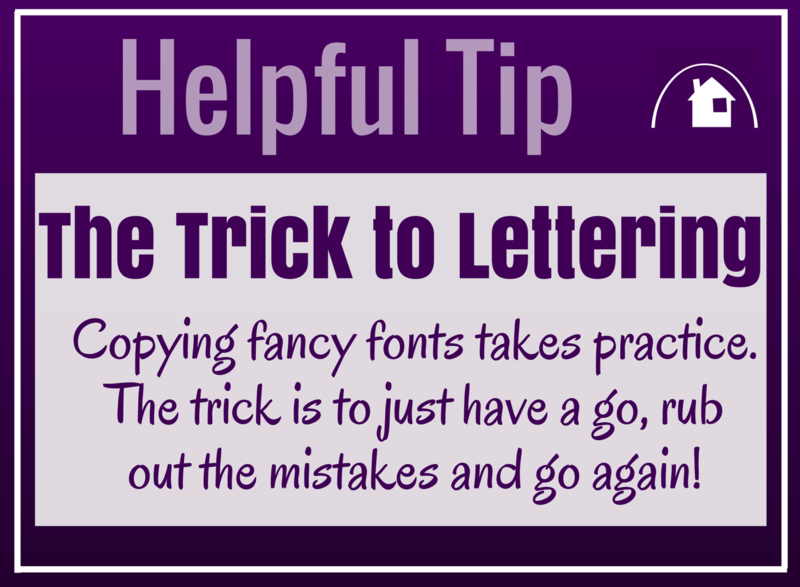 . . in a few weeks I will be posting a new tutorial on how to write fancy-schmancy :). Don’t know how to put Grids onto a Word document? 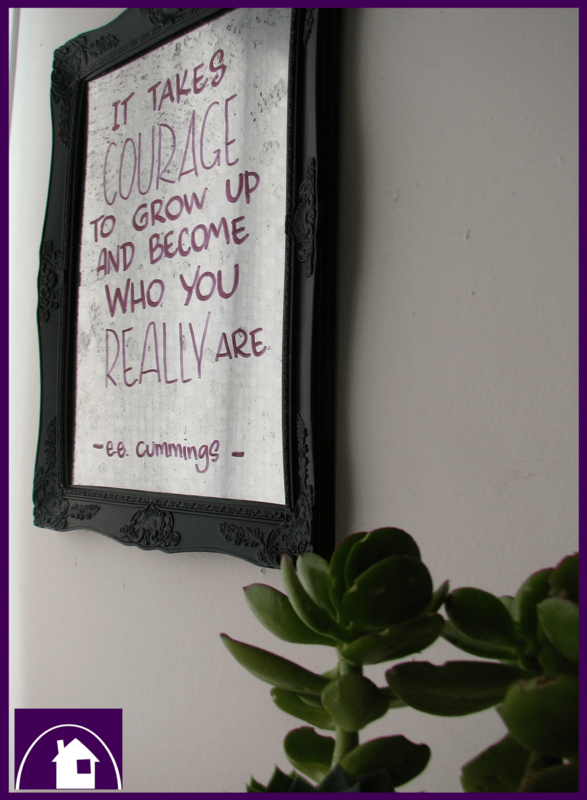 No wuckas – follow this mini tute. So do you think you will have a go? I TOTALLY believe that anyone can do this – if they just believe in themselves and accept that it will not be perfect the first time around. So go on, have a try. And if you do – I would love to see your work. Post a link or photo in the comments.